PID #2 Get Away To Life and enjoy this Charming, Spacious Mountain Retreat. 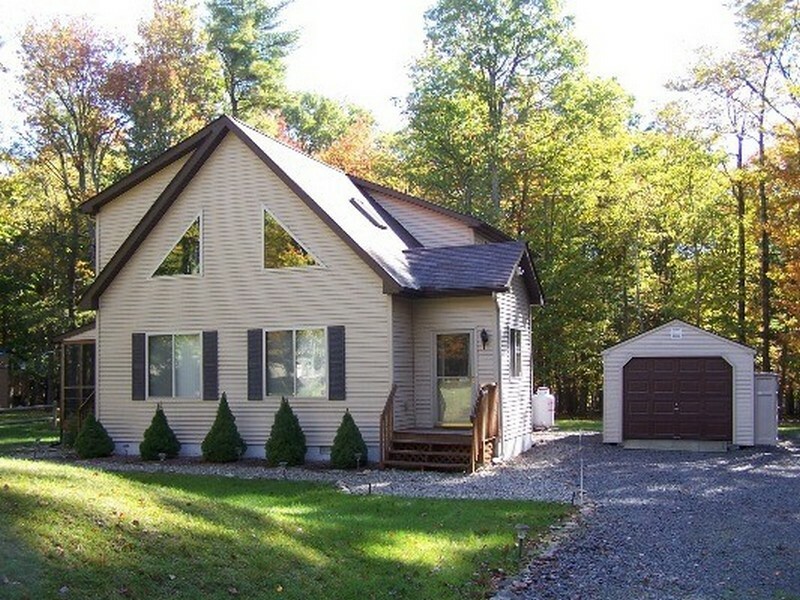 This Chalet home is located in amenity filled Indian Mountain Lakes and features 4 immaculate bedrooms and 2 baths. Please inquire for actual rates! This home offers Cathedral ceiling, Internet Access, Propane fireplace, TV's, DVD's, Central A/C, washer and dryer, fully equipped kitchen with stainless steel appliances, Large Dining Area, Large Jetted Tub, deck, Screened in porch with gas grill (Tenant to supply tank) and outdoor furniture. This home has phone for making collect, credit card or local calls only. Our homes are supplied with dishes, cookware, pillows and blankets. PLEASE BRING towels, dish towels, linens and paper products. Linen service available upon request and additional fee. The home accommodates 13 people. Please Do Not Exceed This Number. Check in at Mary Enck Realty to pick up Rental Package.Check in time is 4:00 pm, check out time is 12:00pm. Late arrivals please contact MER for instructions. Tenants must be pre-registered with rental agent 7 days prior to arrival. There is a $35.00 administrative charge.